Archaeologists have made a sensational discovery during an archaeological excavation on the Danish island of Bornholm in the Baltic Sea: two complete stones with cup mark stone carvings dating back to the early Stone Age. This makes them the oldest known such cup marks--a type of petroglyphs--in Scandinavia by about 1,200 years and their discovery has surprised archaeologists. The carvings contain figures and symbols, which have been cut, chipped, and ground, into the stone and are regarded as typical of the Bronze Age--the period following the Stone Age. Many archaeologists suspected that they were in use long before this, and now they have the first evidence to show it. “It’s a breakthrough. We’ve waited to be able to prove this and it’s fantastic that our assumption has finally been realised,” says lead archaeologist at Bornholm’s Museum, Finn Ole Sonne Nielsen, who also collaborates with the National Museum of Denmark, Aarhus University and the University of Copenhagen. The two stones were found in connection with an archaeological excavation in Vasagård, in the south of the island. One of the carved stones was discovered last year, but not everyone was convinced of its authenticity. 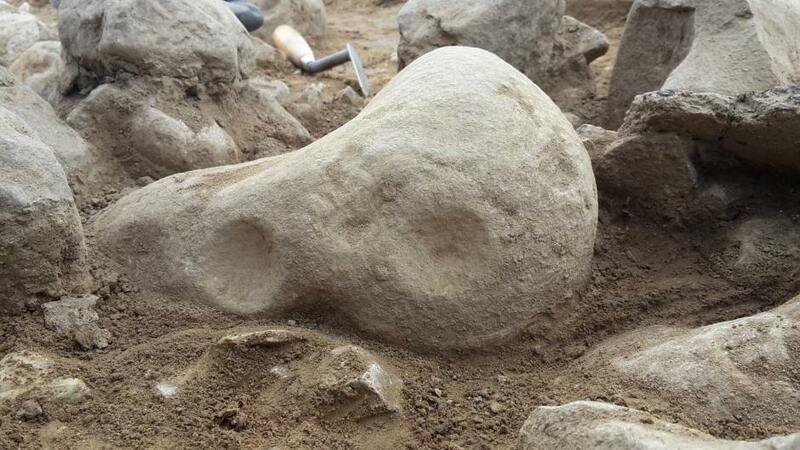 Some thought that the indentations were natural and not carved by people, but with the second stone there are no longer any doubts, says Rune Iversen, assistant professor at the Saxo Institute at the University of Copenhagen. “We’ve now not only shown it with a single, lucky find. If anyone was in doubt of the first stone, then they must be convinced now,” says Iversen, who discovered the second stone, which is now dated around 2,900 BCE. The first stone was dated to 3,000 BCE. “Compared with discovering gold, a little stone with some indentations may seem a bit small fry, but for us it’s really sensational to show that the stone carving tradition stretches so far back,” he says. 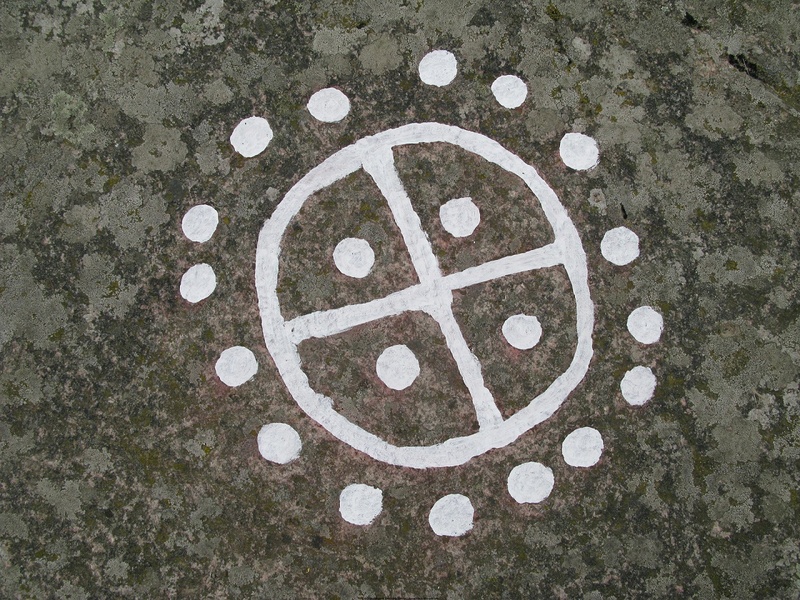 Nielsen is convinced that rock carvings existed in southern Scandinavia since the beginning of the early Stone Age, also known as the Neolithic. It was at this time that people left the hunter gatherer lifestyle behind and began to farm. “Now we finally have evidence that they existed in the middle Neolithic, but personally I think that they are even older. Now we have to just wait for some lucky find to prove that cupmarks are even older,” he says. It doesent make any sense to sacrifice wheat to wheel symbol. Cups were for seeds, fertility, used quite long in Scandinavia until Christians came and so called science, anthropology.. Insane thought that would symbolize wheel. Like in russia still in 1800 wheat pancakes were sacrificed to sun and sky. That is definitely sun symbol not wheel, commonly used by agricultural prehistoric tribes, especially finno-ugrians, and Mycenians and wiccas too.